Home>New Mixtapes>Deante Hitchcock Mixtapes> Deante' Hitchcock Joined By H.E.R., Childish Major & More On "Just A Sample 2"
We were sure that with such a calculated onslaught of new music and visuals that Atlanta-bred emcee Deante' Hitchcock wouldn't leave his fans hanging without a full-length project to round things out. On cue, the RCA spitter has arrived with his Just A Sample 2 project, a brief and well-crafted effort that comes outfitted with three features from fellow Atlanta-based artists Childish Major, enduring Atlanta legend Kilo Ali, and even an assist from the newly-minted Grammy winner H.E.R. Six tracks in total are enough for yet another output that drips proudly of Hitchcock's southern roots and takes us through a vacillating journey as he lyrically navigates newfound fame, love and strip clubs. As the title suggests, the effort is a mere taste of what's to come and does not serve as the official album release for which we've been patiently waiting. Nevertheless, it makes for a stellar placeholder and comes with a new clip to match with project closer "Never (Let You Go)." Get into both down below. 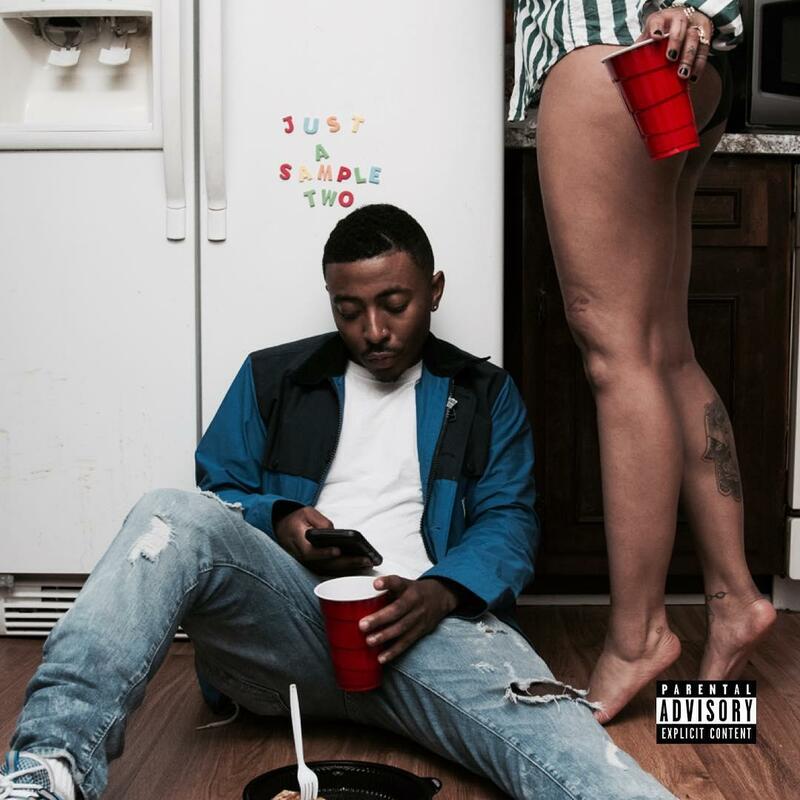 MIXTAPES Deante' Hitchcock Joined By H.E.R., Childish Major & More On "Just A Sample 2"